Share the Care is a not-for-profit organization providing services, education, training, and support to family caregivers, enabling them to maintain their family member at home, delaying or eliminating the need for institutional care. In 1986, a small grant was awarded to the Christian Service Center for Central Florida, Inc. The source of the grant was the State of Florida’s newly created Alzheimer’s Disease Initiative. The purpose was to provide respite care to families caring for someone with Alzheimer’s Disease (AD) or other types of dementia. At the time this was an innovative idea. In fact, the Orlando project was one of only four in the State that was funded as a model. Over the years the Alzheimer’s Respite Care Program (ARCP) of the Christian Service Center continued to grow. In the first years, ARCP offered in-home respite provided by volunteers. As demand increased, and additional funding was realized, the program grew. Funding was secured from the Brookdale Foundation to set up a respite center in a local church that would be open one day per week. ARCP worked with a local hospital to offer overnight care one weekend each month. As the community became more aware of ARCP services, demand continued to grow. Services expanded to include five licensed adult day care centers open five days per week, one neighborhood center open on Fridays, case management and 53 active volunteers. In 2000, the Alzheimer’s Respite Care Program became the local provider for The National Family Caregiver Support Program. 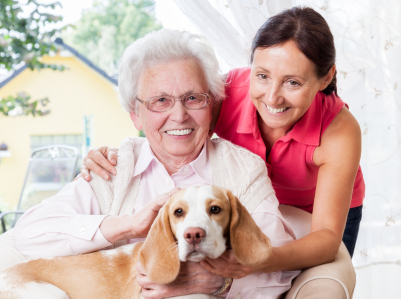 This federal program provided the resources for ARCP to become Share the Care, widening the scope of services to include any family who is providing care for an older adult at home. Additional services were added as well, including: in-home mental health counseling for caregivers, non- durable medical supplies (such as adult under- garments and nutritional supplements), caregiver training and outreach and the Annual Caregiver Forum. In 2001, Share the Care partnered with Orlando Health to begin providing the Alzheimer’s training component of the State Designated Memory Disorder Clinic program. In December 2002, Share the Care became an independent, separately incorporated non-profit entity. Share the Care has been recognized by the Southern Gerontological Society with their Best Practices Award for innovative programming. In addition, Share the Care received the Chairman’s Award from the Area Agency on Aging for outstanding implementation of the National Family Caregiver Support Program. In 2009, Share the Care was awarded a major grant by the Harry & Jeannette Weinberg Foundation, one of the largest private foundations in the United States. 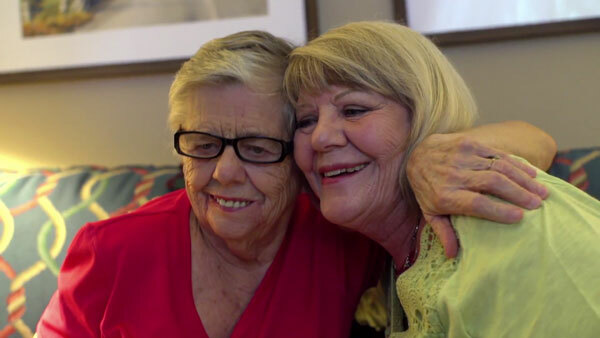 Share the Care was one of 14 organizations chosen out of a field of nearly 400 not-for-profit organizations through the Foundation’s Innovative Programs for Family Caregivers initiative. This generous grant allowed for the development, pilot and implementation of CaregiverCentral.org®, an online tool for family caregivers that provides caregiver self- assessment, information and referral to local, vetted service providers. Thousands of family caregivers ranging in age from 18 to 88 have taken advantage of this one of a kind tool. The future will bring even more opportunities for Share the Care to expand and grow based on the expressed needs of family caregivers. From humble beginnings, the Alzheimer’s Respite Care Program has grown to serve over 1,400 families per year. With one-in-four households actively involved in some form of family caregiving, Share the Care can only continue to grow.